Even as demonetisation and GST impacted the Indian hospitality sector adversely in 2017, internet startups that aggregate hotels and resorts are demanding a reduction in tax rates in Union Budget 2018. “We expect a forward-looking budget that comes good on reducing corporate tax rates to 25 percent, and effects administrative and tax reforms suggested by Easwar Committee – this will go a long way in ease of doing business in the country,” said Ritesh Agarwal, founder and chief executive officer of Oyo, India’s largest budget hotel rooms aggregation chain. 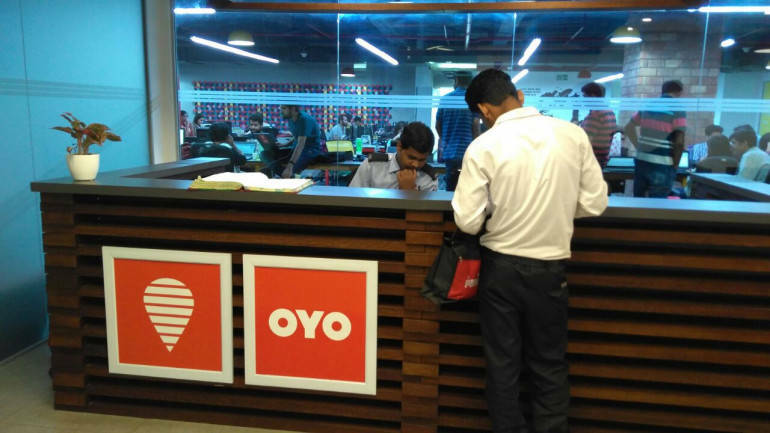 OYO last raised USD 250 million in a funding round led by SoftBank Vision Fund in September, taking its total fund raise to about USD 430 million. “GST is good for the country and the business as whole but the challenges of its implementation need to be streamlined. Although the government has released clarification for application of taxes on the declared tariff, we expect the concept of the declared tariff to be replaced with actual tariff as consideration for GST on hotel accommodation – as is the case with other industries,” he added. Agarwal also suggested for some relief in what can be accounted as a startup tax. “Contribution to share capital in startups is subject to litigation because of “start-up tax”. We expect some relief here, as valuation at which contributions are being made are subject to a lot of tax and regulatory scrutiny,” he said. Siddharth Gupta, co-founder of Treebo Hotels agreed with the concept of taxation on an actual tariff since a lot of startups keep on offering discounts on rentals. Gupta said that customers in India are paying more tax than they should. “GST levied at hotels is on declared room tariff instead of the actual tariff. Given the nature of the business, our inventory is dynamically priced and room tariffs vary depending on the season, demand and location amongst other factors. Post-discount, a room in the 18 percent tax slab may fall under 12 percent slab but the guests still end up paying 18 percent for the same room. I would like the finance minister to levy GST on actual tariff and not declared tariff at hotels,” he said. He also suggested that in order to make the hospitality business more attractive for small businessmen and attracting more investment in this space, there should be attractively priced loan products. “We propose the creation of attractively priced loan products for this industry to facilitate construction of new budget hotels as well as renovation of existing ones. In addition to generating tourism revenue, hotels are also a source of employment for the local communities where they operate,” he said. Treebo, on the other hand, has raised a total of about USD 57 million from investors such as Bertelsmann India and Hong Kong-based hedge funds Ward Ferry Management and Karst Peak Capital, among others. “Loan products, offered by public and private sector banks alike, tailor-made for the requirements of small hotel owners can help with employment creation and development of smaller cities, in addition to providing a boost to the overall tourism sector,” Gupta added. Hotels in India offering room tariffs below Rs 1,000 per night were exempted from tax post the implementation of GST, last year. Hotels with room rentals between Rs 1000-2500 are taxed at 12 percent. The rates at five star and luxury hotels remain steep as they are taxed at 28 percent. “Five star or hotels above Rs 7,500 hotels should not be taxed at 28 percent. It is really ridiculous. It should be reduced to 18 percent and the tax bracket for the lower slab of hotels can be 12 percent. Given that the domestic customers are traveling and they are spending anywhere from Rs 2,500 to 7,500, on daily accommodation, the tax rates are a dampener on the entire sector,” said Aditi Balbir founder and CEO of V Resorts. The resort management startup claims to be having Rs 5,000 as an average rate for a room on its aggregation platform.